Both candidates are U.S. Coast Guard veterans who served at Station Menemsha. Chilmark selectmen interviewed two candidates for town harbormaster Tuesday night. 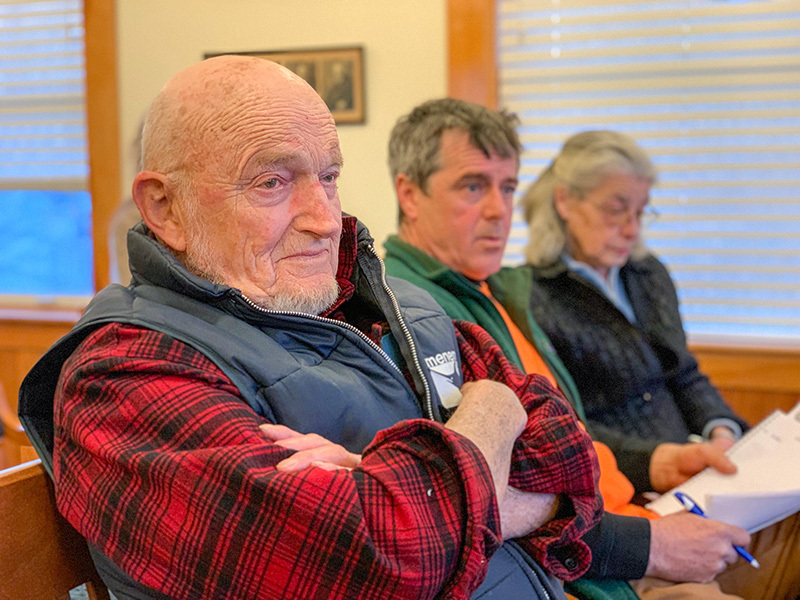 The present harbormaster, Dennis Jason, is slated to retire in June. 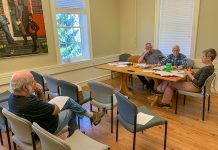 The selectmen and the harbor advisory committee have worked quickly to find somebody to replace him before the next season is underway. Robert Decker and Ryan Rossi were the finalists out of six applicants previously vetted behind the scenes. The board will make a final selection next Tuesday, chairman Jim Malkin said. Both Decker and Rossi worked in harbor departments on-Island. Decker was an assistant harbormaster in Vineyard Haven, and Rossi was a wharfinger in Menemsha. Both served in the U.S. Coast Guard and did stints at Station Menemsha. While the two men each live on the Vineyard, Rossi is a native Islander, and Decker hails from Essex County. Ahead of the interviews, selectman Bill Rossi recused himself and sat in the back of the room, because Ryan Rossi is his nephew. 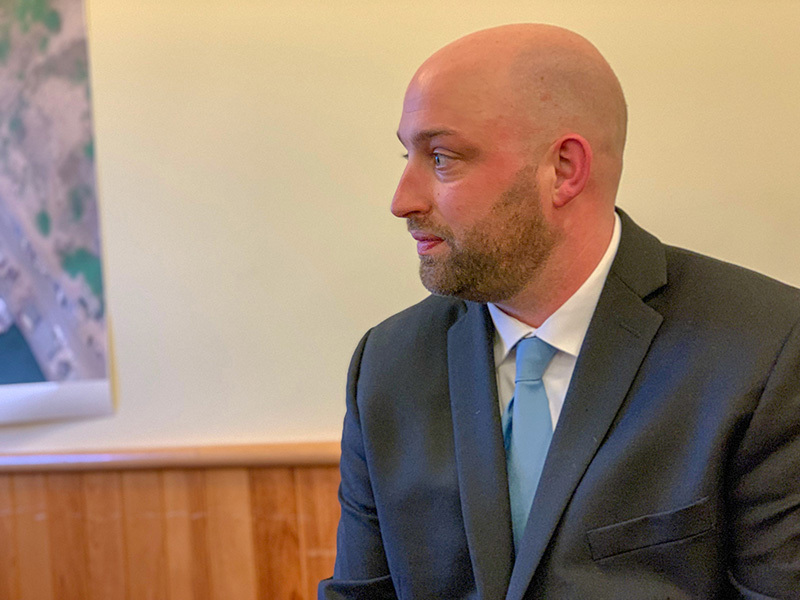 Decker, who was interviewed first, is presently employed at Tisbury Towing and Transportation as a crewmember of the tugboat Thuban, and as at Edgartown District Court as a court officer. Selectman Warren Doty asked Decker to cite an example of how he resolved a conflict between two groups of people. Decker said he is exposed to conflict on a daily basis at the courthouse, especially regarding divorce matters, where he continuously is called upon to defuse family conflicts that can involve restraining orders and property. He said he was hesitant to cite a specific example because it could reveal the personal details of people in court. However, if need be, he said, he would try to articulate some examples. Doty said that wasn’t necessary. Malkin asked him what his definition of success was for the harbor department. “First and foremost, myself and my crew are safe out there — no injuries,” he said. “And the people I’m helping on a daily basis, their safety is paramount as well. Beyond that, remaining fiscally sound, staying ahead of the curve.” He also said upkeep of good fiscal management was especially important for big projects like dredging and pier building. Last, he said improvements made to the harbor would be key. Malkin, the board’s harbor liaison, gave Decker the opportunity to ask the selectmen a question. Decker asked Malkin if the town had any ideas on how to solve issues at the fuel dock. The dock was a focus of clashes between the harbor department, notably Jason and the Carrolls, who own Menemsha Texaco and manage the dock. 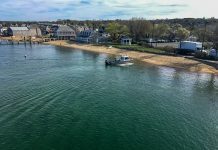 “The harbor advisory committee and the selectmen have said that boats should not be turned away from the fuel dock [when] looking for water, and that should resolve the issue,” Malkin said. Rossi, a present employee of Martha’s Vineyard Shipyard, also weighed in on the fuel dock. He said he grasped “the safety concerns that the Menemsha Texaco owners have with vessels coming in to use the fuel dock for the sole purposes of using the pump-out service and taking on water.” Fuel dock operation can be hazardous if things aren’t done properly, he said. “And I also understand that in the state of Massachusetts, it is a law set forth by the Fire Marshal that vessels are not to come to the fuel dock for the sole purpose of taking on water and using the pump-out service.” But, he added, “Menemsha is a small harbor,” and that complicates things. He said he felt the issue could be resolved diplomatically. 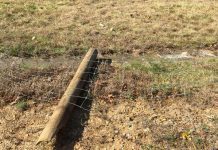 But if it can’t, he suggested consideration of a separate watering and pump-out spot might be warranted. Doty asked Rossi to give an example of how he diffused conflict. Rossi said while in the Coast Guard in North Carolina, he was about to conduct a dockside boarding and encountered a bitter captain who resented the Coast Guard because he felt they did not come to his rescue in a timely manner when his boat previously capsized. Rossi said the captain walked away from the boarding party, and said he wouldn’t aid the inspection of his boat. Rossi then said he refrained from boarding, and talked with the captain at length until he could air out his gripes. He said the captain was so pleased at being heard, he joined the Coasties on the vessel, and later wrote a letter to the Coast Guard commending Rossi. Asked by Malkin what his definition of success in the department would be, Rossi said, “preserving Menemsha Harbor as a safe, family-oriented harbor and a commercial fishing port.” Striking a balance between commercial fishermen and boaters who occupy transient slips was also important, he said, as was strong employee training and morale. Earlier he also cited implementing improved slip management software as well. Concerning their Coast Guard training, both Decker and Rossi cited skills in heavy weather seamanship. Rossi gave examples of expertise he gained in organization and logistics, Decker gave examples of experience he gained in search and rescue and law enforcement. 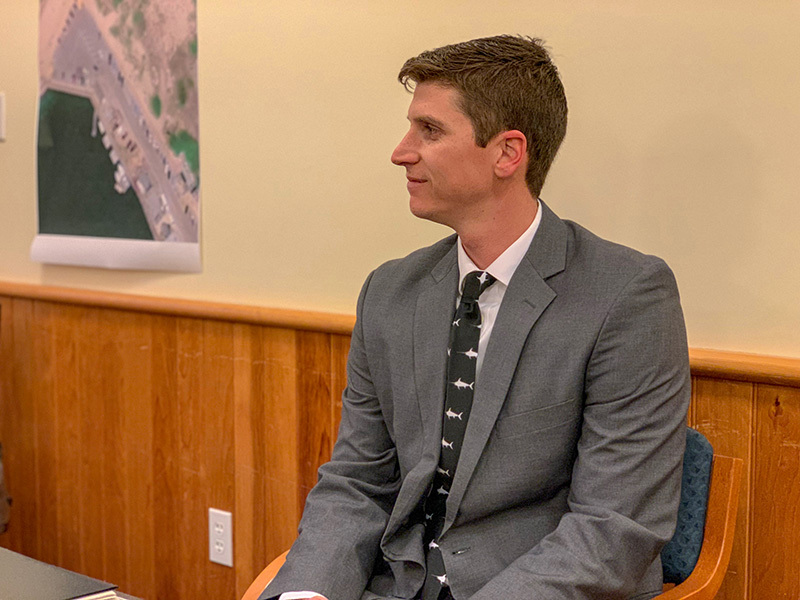 After the candidates had exited the meeting room, Malkin asked harbormaster preselect committee chairman Jeff Maida to comment. “As a committee, we unanimously supported Mr. Rossi,” Maida said. That committee consists of Everett Poole, Maida, and Malkin. Personnel board chairman Jane “Jennie” Greene told the board she was comfortable with the selection and interview process so far.